An uplifting novel about the families we create and the places we call home. It is 1904. When Frederick and Jette must flee her disapproving mother, where better to go than America, the land of the new? Originally set to board a boat to New York, at the last minute, they take one destined for New Orleans instead ("What's the difference? They're both new"), and later find themselves, more by chance than by design, in the small town of Beatrice, Missouri. Not speaking a word of English, they embark on their new life together. Beatrice is populated with unforgettable characters: a jazz trumpeter from the Big Easy who cooks a mean gumbo, a teenage boy trapped in the body of a giant, a pretty schoolteacher who helps the young men in town learn about a lot more than just music, a minister who believes he has witnessed the Second Coming of Christ, and a malevolent, bicycle-riding dwarf. 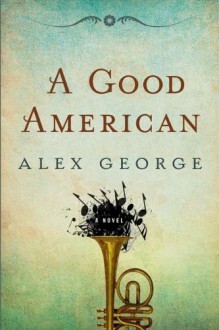 A Good American is narrated by Frederick and Jette's grandson, James, who, in telling his ancestors' story, comes to realize he doesn't know his own story at all. From bare-knuckle prizefighting and Prohibition to sweet barbershop harmonies, the Kennedy assassination, and beyond, James's family is caught up in the sweep of history. Each new generation discovers afresh what it means to be an American. And, in the process, Frederick and Jette's progeny sometimes discover more about themselves than they had bargained for. Poignant, funny, and heartbreaking, A Good American is a novel about being an outsider-in your country, in your hometown, and sometimes even in your own family. It is a universal story about our search for home. Tells the story of multiple generations of the Meisenheimer family, from their immigration to America to their great-grandchildren. We spend time with many characters, getting to know their thoughts and everyday experiences. Highly recommended. Just a really, really good book.